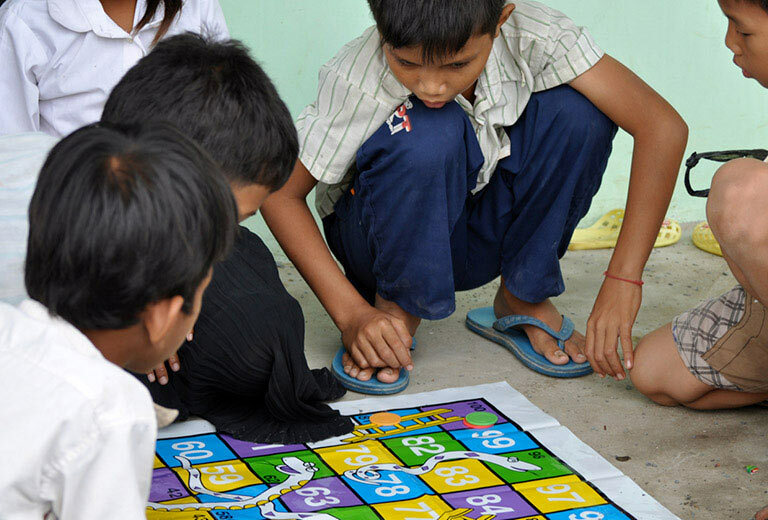 Our joint aim is to improve the lives of Cambodian children and their families through better oral health. We provide free treatment to relieve suffering and greatly improve health issues. Our modern, clean and well-equipped clinic in Tanop Village (Takeo province) has two dental chairs staffed by our two qualified Khmer dental therapists, a visiting Khmer dentist and volunteers. We see children each morning and do the usual range of pedodontics including surgery, endodontics and preventative care under proper qualified dental supervision. We recruit, train and employ local Cambodian staff giving these people the opportunity to train and gain employment in an area that benefits their community.